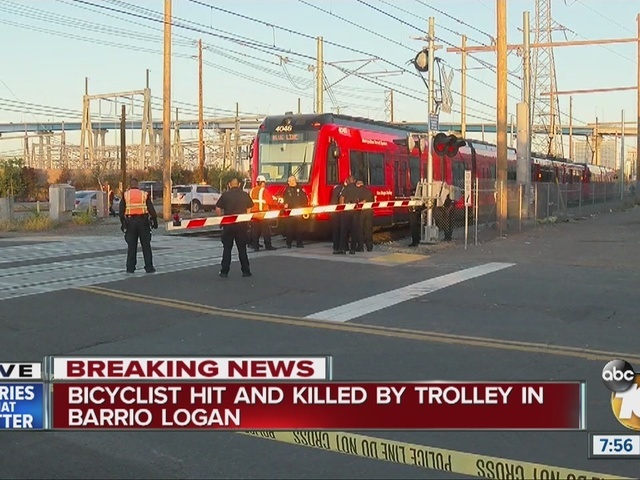 SAN DIEGO – A trolley struck and killed a bicyclist riding on the tracks Wednesday morning in the Barrio Logan neighborhood. 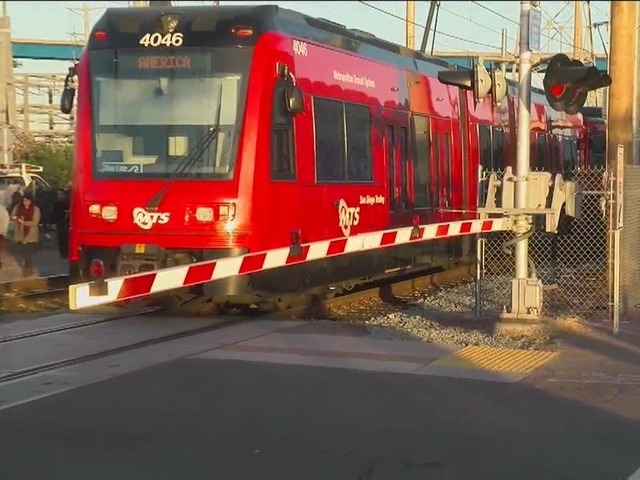 The 27-year-old rider stopped for a southbound trolley as it traveled alongside Harbor Drive at Sampson Street around 5:45 a.m., but went under the lowered crossing arms shortly afterward and was hit by a northbound trolley, San Diego police Officer Frank Cali said. Emergency personnel attempted to revive the cyclist, but he died at the scene, Cali said. His name was not immediately released. The Metropolitan Transit System, which operates the trolleys, announced via Twitter that its blue line trolleys were running up to 30 minutes behind in both directions.